Rob Howe honours the qualities of a scene, exploring that which may be unnoticed. His works are evocative rather than realistic, approaching realism with an abstract brush. Light and colour enmesh across tree, road, lawn grass, structure, bitumen and sky: these are a kind of malleable set of compositional elements. His paintings play in the area between pure abstraction and realism. Within this a human figure may emerge, tenderly presented, less a building block, more a being – just being – encased in colour. There are connections to the Nabis painters (Bonnard, Vuillard) and the New York Lyrical Expressionists, particularly in the selection of everyday subjects. 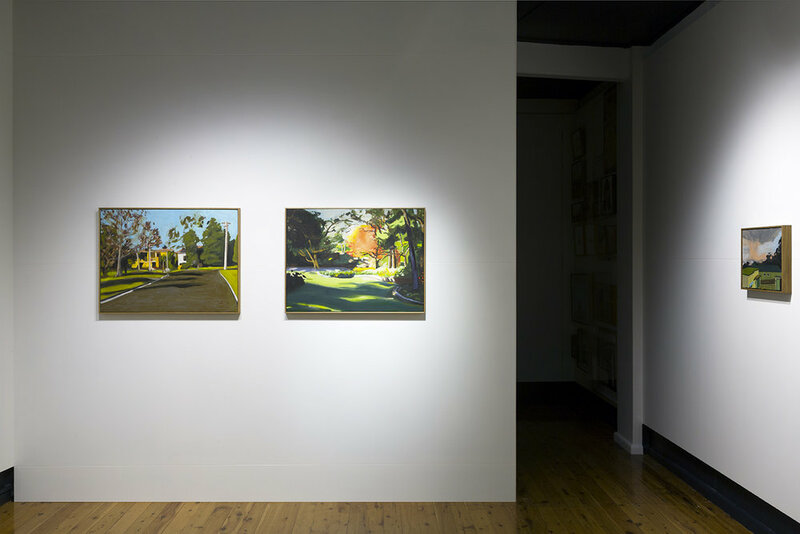 But Rob Howe’s work is filtered through Australian sunlight, drawing dramatic shadows across the ground, describing the impact of objects we cannot see. Photographs give you a point of focus. A realist painting might present a scene in a particular order: foreground, mid-ground, atmospheric background. Rob Howe’s paintings offer multiple areas of focus. He pushes these layers back and forth, allowing for an undulating relationship between forms. The primacy is all in the treatment of light. Things at the front recede into a complex background. The ground plane is not just a base on which stuff happens, it can tilt and flatten and balance. It shimmers and melts. The sky is not just a backdrop. Howe allows it to come forward, push through the painting and break from its status as the fabric upon which we view a scene. This approach finds a satisfying, bold solution to picturing the weighty presence of the Illawarra Escarpment. Rob Howe fragments the assumed rules of composition, positioning objects near the centre of an image or dividing a space evenly between horizon and ground. In other hands this would fragment the work, but Howe makes these placements harmonious. He energises the paintings in a complex play, the tilt of a tree or telegraph pole, the smudge of a horizontal shadow. People inhabit these spaces, tenderly portrayed in brush, the edges of their form enveloped by light filled settings. 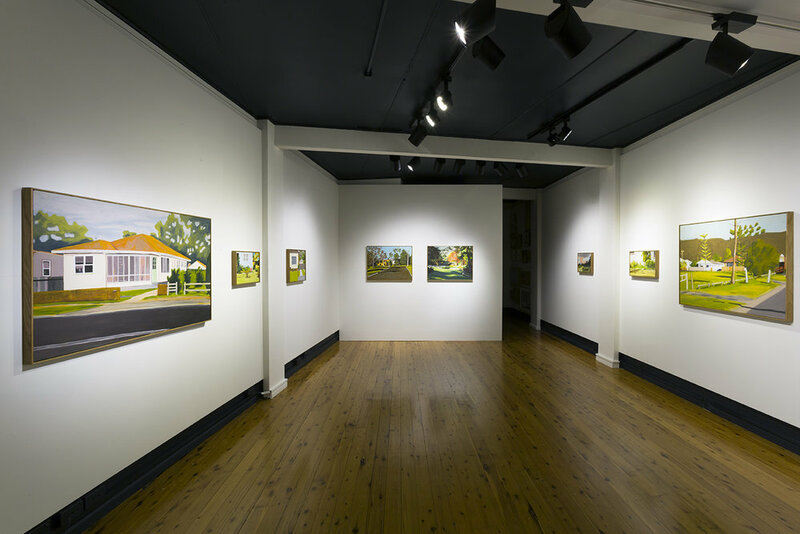 Rob Howe’s portraits communicate an impression where the space between the viewer and the subject is set at a neighbourly distance. 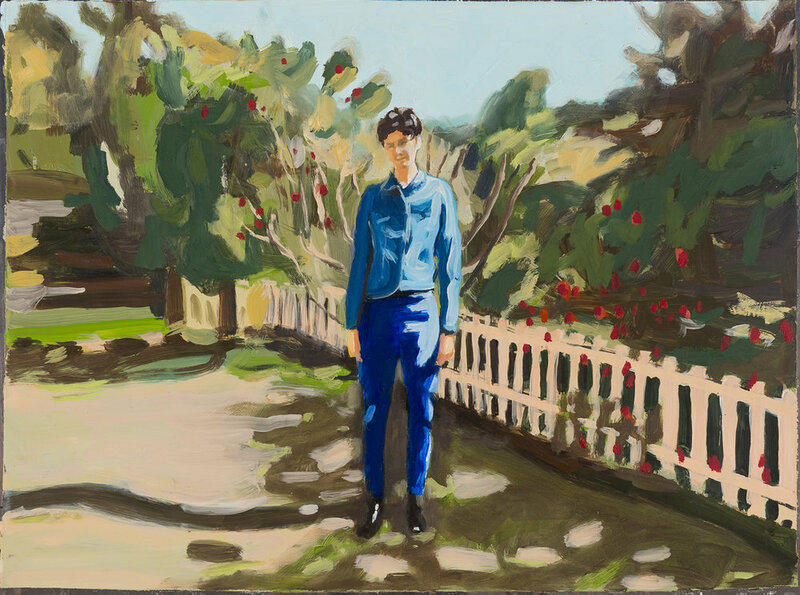 The essence is captured, the superfluous edited out – this is what painter and critic Fairfield Porter might describe as “a respect for things as they are”. In Howe’s exterior portraits the subjects are awash in sunlight, almost squinting to bring you into focus. We have our space and they have theirs.